Eighteen months ago we became the legal parents to Judah and Addise in Ethiopia's eyes. In November 2010 we went to an Ethiopian court to swear before a Judge that we would forever and always be Abebayehu and Tarike's parents and love as our own children. Our first official family picture after Ethiopian court. 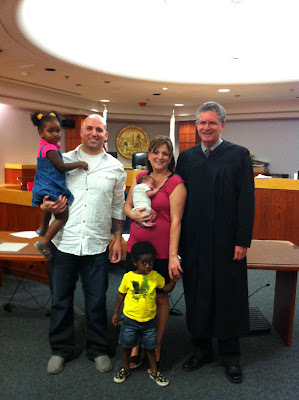 Yesterday, May 31, 2012, we re-finalized our adoption in the United States. If we could describe the experience in two words: momentous and anti-climactic. 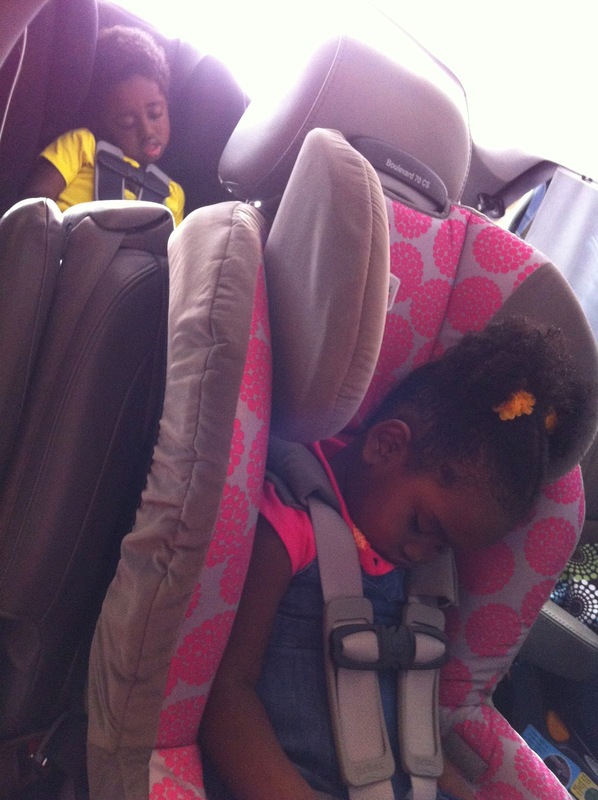 When Judah and Addise entered the U.S. they were legally our children and U.S. citizens. They have a social security number. But re-finalization was necessary for some reason beyond my understanding strictly in order for them to receive inheritance and get U.S. birth certificates with their legally changed names. Until this point, their legal names have been Abebayehu Brian Diaz and Tarike Brian Diaz. HA! Yesterday's superfluous court appearance (in my humble opinion) changed all that. Why they required another thick stack of confusing paperwork for those reasons is really mind boggling. Why couldn't those two things be taken care of the first time around?!?! Brian's sure it's only to secure jobs for government workers. This process didn't cost us any money (phew) but it cost us hours of time. Oh so patiently waiting outside the court room. Why they schedule court hearings during nap time (1:45pm was our appointment) and then make you wait for an hour is beyond me?!? Puffins, grapes, and occasional squawks from Asher kept them contained and mildly mannered. Our family of five with the Honorable Judge Sherman and the California state seal behind us. The Judge was so wonderful with us - kind, warm, and VERY fast. There were 6 families re-finalizing yesterday. I'd met the court clerk the week before where I told her we have 3 kids under 4 years old. She had mercy on us and put us as the #1 family to re-finalize yesterday. God bless her!! **Seeing Asher in this picture is like a page from "Where's Waldo". The after party. Our wild and crazy Ethiopians. Asher was also passed out, but he's only 5 weeks old. Though I'm not crazy about the pictures from our big-but-not-really day because of my 5-week postpartum body, the alternative wasn't my first choice (39 weeks pregnant). And I LOVE that Baby Asher is pictured in our family picture. Though Asher wasn't even in glimmer in his daddy's eye throughout our adoption process, it's beautiful that he's pictured in our final legal experience. God's so cool like that to arrange all those little details. So, it's official. AGAIN. Judah Abebayehu and Addise Aster Tarike are forever Diaz's. PS. It's highly likely that this blog will cross 100,000 views with this post. How fitting. It's wholly humbling to know that this blog's been viewed that many times in the past 3 years. What started as a streamlined attempt to keep long-distance family informed throughout our adoption has become much more for reader and writer. For this and more, I am thankful.